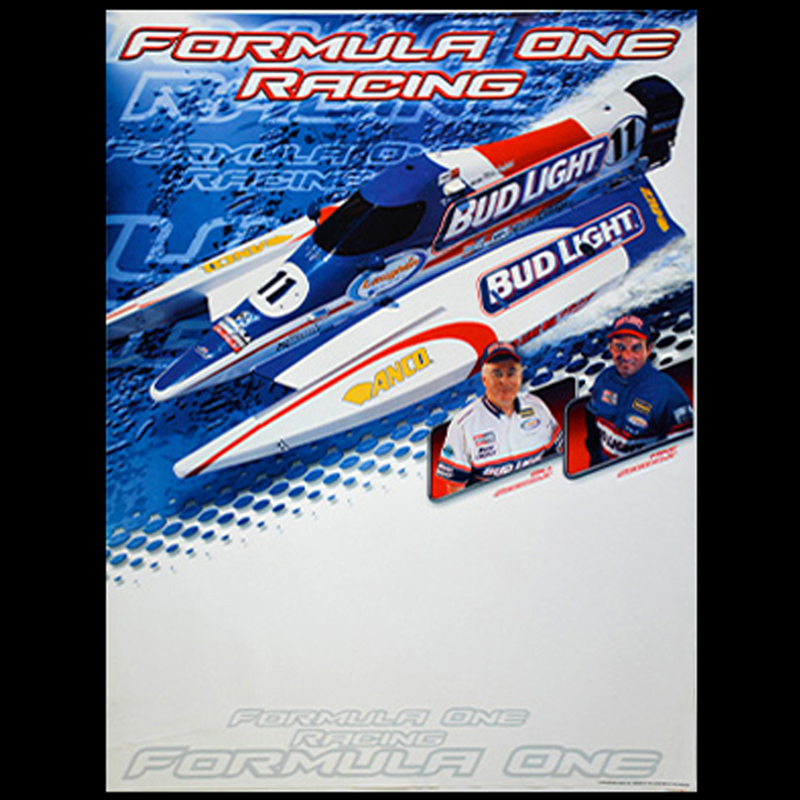 This Classic Anhueser- Busch Bud Light Formula One Boat Racing poster included Bill and Mike Seebold from the 2002 Season 2 years after Bill Seebold retired and was inducted into the Motorsports Hall of Fame. 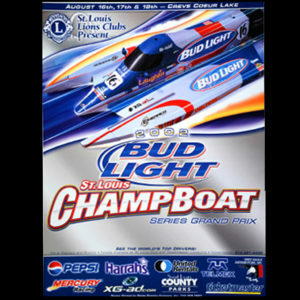 It was commissioned by Anheuser-Busch for Bud Light Racing. We designed the Graphics for the boat and trailer, then photographed it all in-house and carried that same exciting new look throughout a entire line of Point of Sale items for the Bud Light Brand. The Newly designed F1 Boat, Bill and Mike Seebold were all shot during the winter in our photography studio inside and then photo imaged into the design. The original design included full body shots of Bill and Mike, but was revised to just head shots of the 2 World Champion Seebolds before going to print to include more pricing area on the bottom half of the poster.